GSL sees a variety of gemstone treatments, though there are some treatments which are seen much more often and are sometimes referred to as "standard" treatments for a given gemstone. Examples of gemstones and the treatments that are used to enhance them are listed below. Corundum is subjected to various treatments, some being stable and others being unstable. These treatments include heat (sometimes with additive) and beryllium treatment. Heat treatment of ruby and sapphire is common. When heated, inclusions within corundum may become reabsorbed by the gemstone causing them to diminish in appearance making the stone look brighter and clearer. Colour may also be enhanced by this process. In some cases stable additives including borax are used during this process, with varying levels of additive noted within the fissures and feathers of different stones. This depends on the level of inclusions in the starting material. 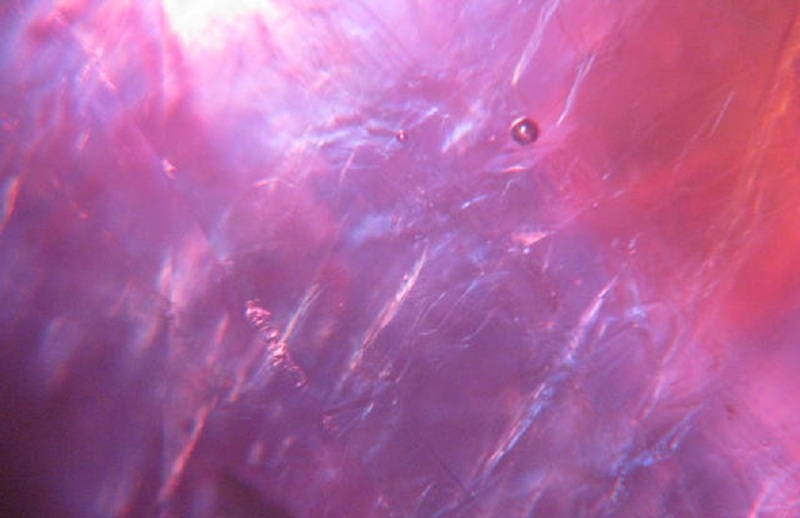 Heat treatment can be identified using microscopic analysis, and may also be indicated by a gemstone's response to UV. Beryllium treatment of sapphire involves the use of heat with the addition of beryllium. Beryllium treatment is used to produce pinkish orange and yellow tones from greenish yellow starting material. 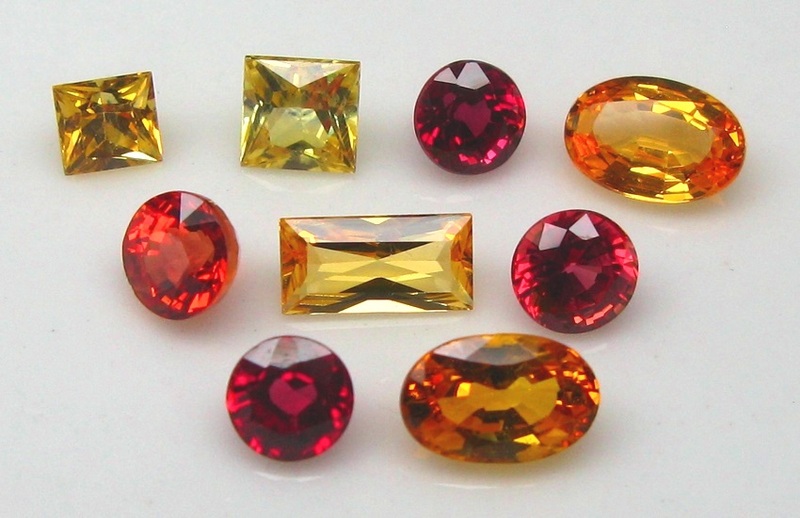 It can also be used to change brownish red African rubies into bright and attractive orangey red colours. Indications of beryllium treatment can sometimes be observed under microscope, though confirmation requires testing using Laser Ablation - Inductively Coupled Plasma - Mass Spectroscopy (LA-ICP-MS) or Laser Induced Breakdown Spectroscopy (LIBS). Corundum can be treated using various glass fillings in order to minimize the appearance of fractures and to enhance the colour of the stone. 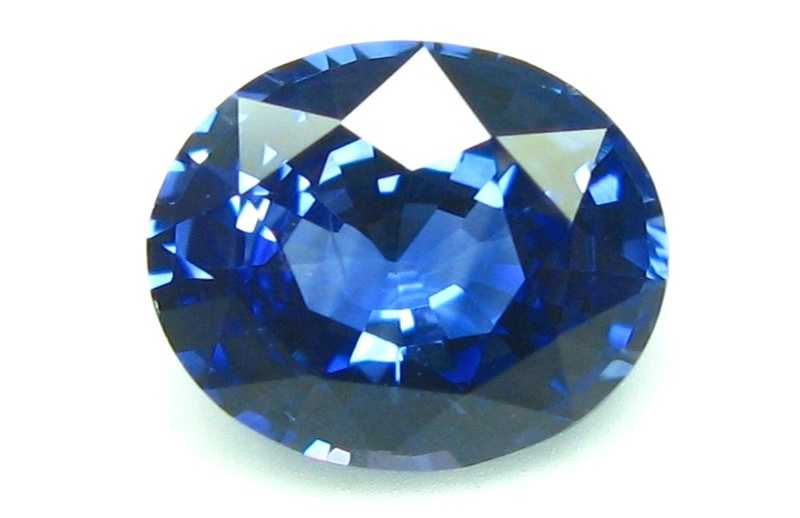 For treatment of blue sapphire, Cobalt Glass (blue) is used, and in rubies, Lead (and other types of) Glass is used. Glass filling can be identified under the microscope by observing the "flash" in the fissures produced by the glass, and by the bubbles seen in the glass filler. This treatment is not stable. Emerald is subjected to treatment using oil or other synthetic polymers. These additives are used to minimize the appearance of fractures in the stone. 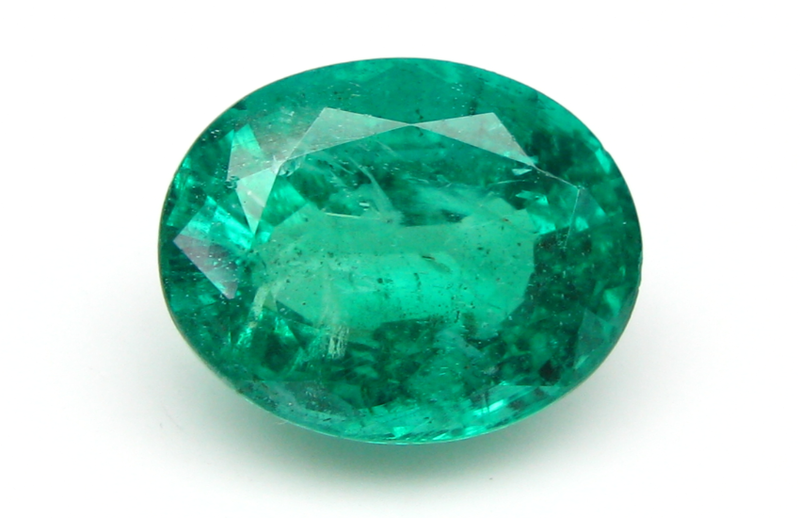 Treatment with natural oil is considered standard for emeralds. The presence of oil in an emerald reduces the visibility of fissures that are present in all natural emeralds and makes them appear clearer. The practice of oiling emeralds is very old with reports that it was used in early Egyptian times to enhance the appearance of the emeralds that were produced from their mines. In more recent times natural oils have been replaced with polymer based additives that have the same effect as oils on the appearance of the stones. Because they are synthetic materials treatments using polymers are not as well accepted as oiling. The presence of an additive can sometimes be seen under careful examination using a microscope but absolute identification of whether the additive is oil or a polymer requires FTIR analysis. Jade can be treated using bleach, dye and polymer. Jade is analysed using FTIR and UV-Vis (see Advanced Instrumentation). Once the presence or absence of treatment has been identified, Jade is classified into Type A, B or C.
Refers to natural jadeite which has not been subjected to any form of chemical treatment except those traditional processes such as plum juice washing and wax polishing. These procedures are internationally recognized as standard practice and are not considered "treatment" because the structure of the jadeite has not been compromised. Refers to jadeite which has been chemically bleached to remove the impurities. It is further treated with other agents and then impregnated with clear polymer resin to enhance its translucency. Colour is enhanced with dyeing agents.